Berkhamsted plantation shutters from Just Shutters. We are a long-established company comprising of passionate experts that specialise solely in providing customers with bespoke plantation shutters. The quality of our product range is second to none, our service unrivalled and our prices are very reasonable. Furthermore, we offer an industry leading lifetime guarantee. To discuss Berkhamsted plantation shutters with our team of experts, to book a home visit or to request our free brochure call us on 01727 221 298. When purchasing our Berkhamsted plantation shutters, you will discover that they are able to offer the best of both worlds – they are unique in combining beauty with practicality. View our stunning photo galleries to get inspired about what our range of shutters could bring to your interiors. We are so confident in the quality and benefits of our products that we ensure they all come with a lifetime guarantee. Browse our extensive range of products to find out more. To speak with your local experts please call 01727 221 298 and we will be able to give you the personalised service you require; from design to installation we are here for you every step of the way. You can call or book an appointment or download a brochure by following the links below, or contact us here. 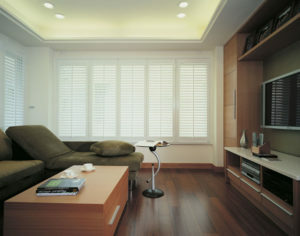 As a result of our high standard of product quality and service, Just Shutters has earned an unrivalled reputation. We endeavour to provide each customer with the best Just Shutters experience possible. Consequently, we never compromise on quality and service whilst always keeping our prices competitive. But don’t just take our word for it, please read our customer testimonials below. To read more reviews, visit our Checkatrade page for over 1600 independent reviews from our many satisfied customers.